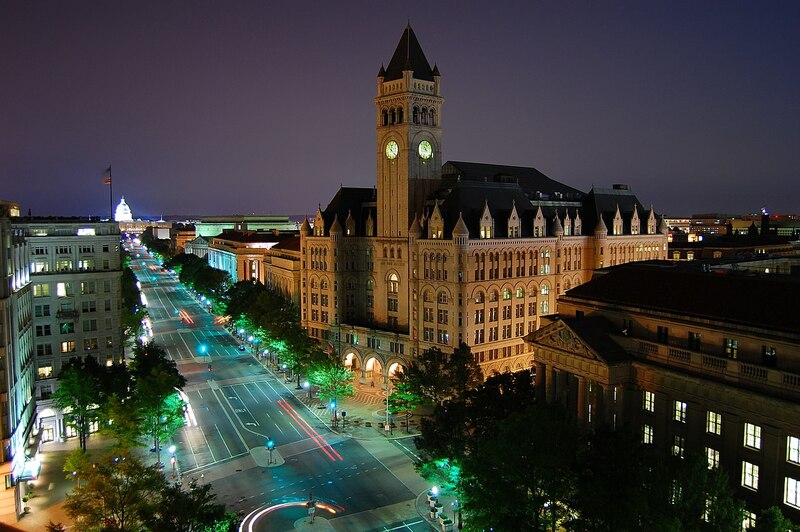 A federal judge on Wednesday dismissed [opinion, PDF] a lawsuit by a group of congresspeople against the General Services Administration (GSA) [official website] seeking the disclosure of documents related to the lease and operations of the Trump Hotel Washington. The plaintiffs, 17 democratic members of the US House of Representatives Committee on Oversight and Government Reform, filed the lawsuit [Reuters report] in late 2017 after the GSA refused to release the requested documents. The House democrats see the disclosure as essential to ensuring transparency and avoid corruption, said Representative Elijah Cummings of Maryland “We have no transparency—no ability to check for ongoing conflicts of interest or unconstitutional foreign payments.” Under 5 USC § 2954 [statute, PDF], a minority of the committee’s members to demand executive branch documents when at least seven members make the request. US District Judge Amit Mehta dismissed the suit for lack of standing. He found the plaintiffs failed to demonstrate that they had a legally cognizable injury. Individual Members of Congress generally do not have standing to vindicate the institutional interests of the house in which they serve. This means that Members of Congress may go to court to demand something to which they are privately entitled … but they cannot claim harm suffered solely in their official capacities as legislators that damages all Members of Congress and both Houses of Congress equally.